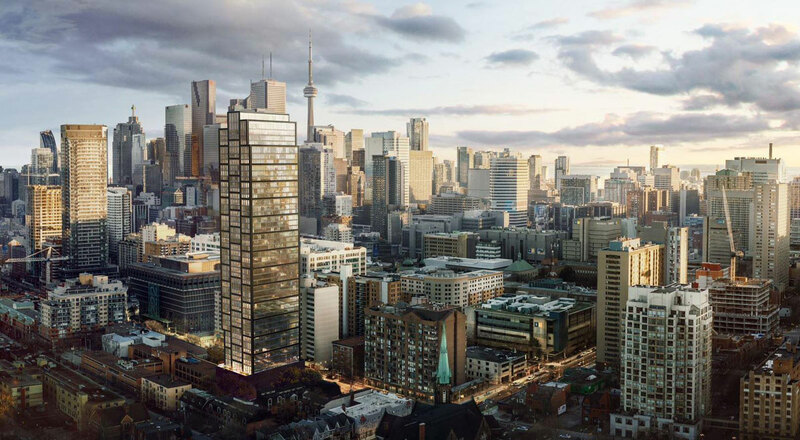 Rising 45-storeys above Toronto’s East Core will be a new mixed-use high rise known as Prime Condos. This 579-unit condo will have an air of luxury both inside and out. 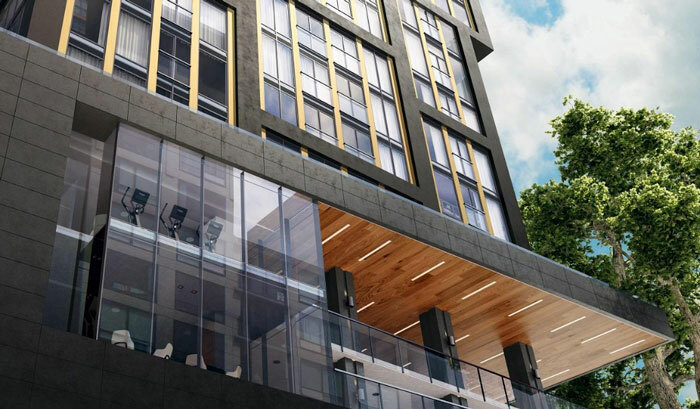 The simple but elegant exterior of Prime Condos, designed by IBI Group Page + Steele Architects, will be a stunning and sleek mix of stone, steel and metallic cladding surrounding large rows of reflective glass windows. 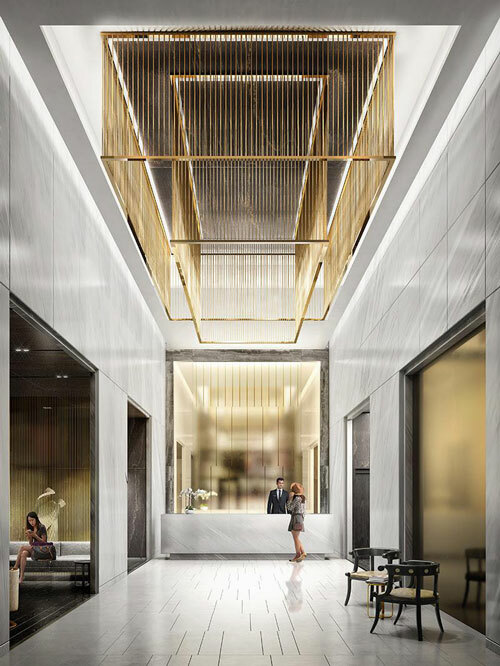 Pairing perfectly with the exterior finishes is the lobby with high ceilings, white tile, gold accents and rumoured to be furnished by high end designer brand, Versace. The design is nothing short of luxury, though starting prices of the 579 units expected at Prime Condos are in the high $300s. Floor plans here will range from studios to two-bedrooms plus dens. 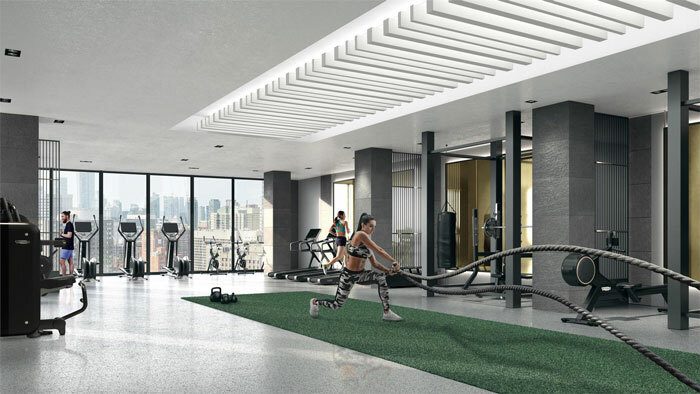 Residents of Prime Condos will have access to an array of thoughtfully designed amenities located in the condo’s podium. 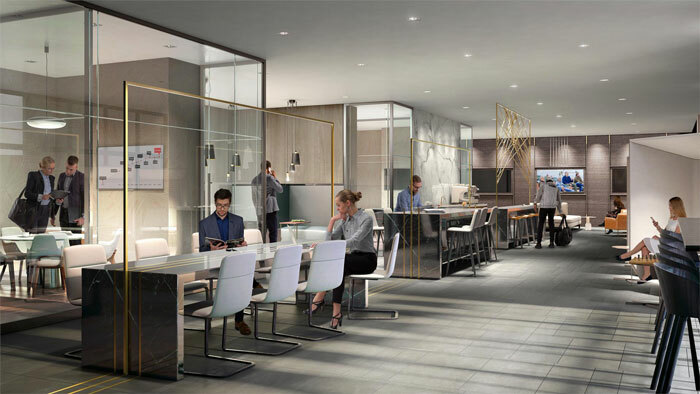 Amenities will include a sun-filled fitness centre, large business centre, wrap-around outdoor terrace and a 24-hour concierge. Prime Condos will also be home to new retail, a must in Toronto’s downtown core. With a walk score of 96 and transit score of 100, the location is highly desirable. 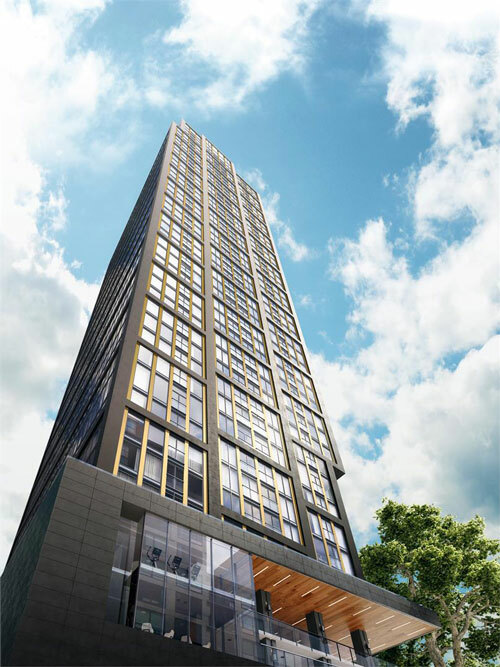 Only a short walk to Ryerson University, the shops of the Toronto Eaton Centre, Loblaws, Allan Gardens and so much more.